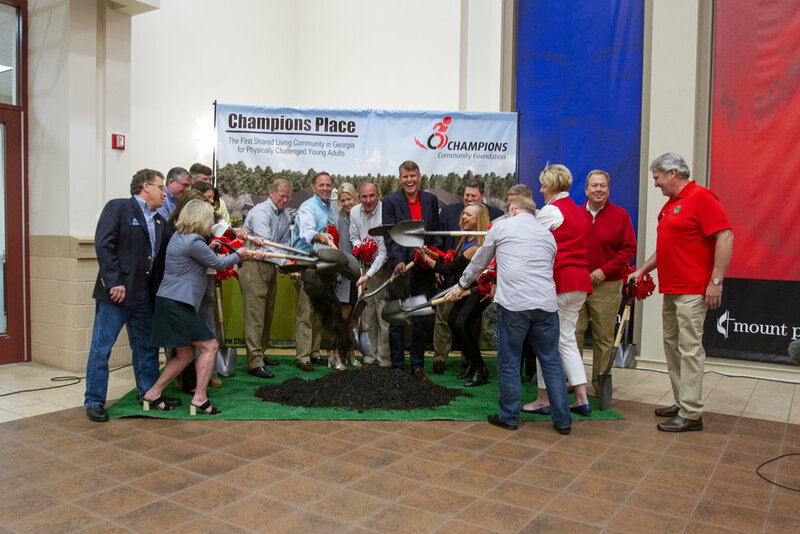 OVERWHELMING RESPONSE FROM THE LOCAL COMMUNITY AT GROUNDBREAKING CEREMONIES FOR CHAMPIONS PLACE! Watch News Coverage of the Groundbreaking! 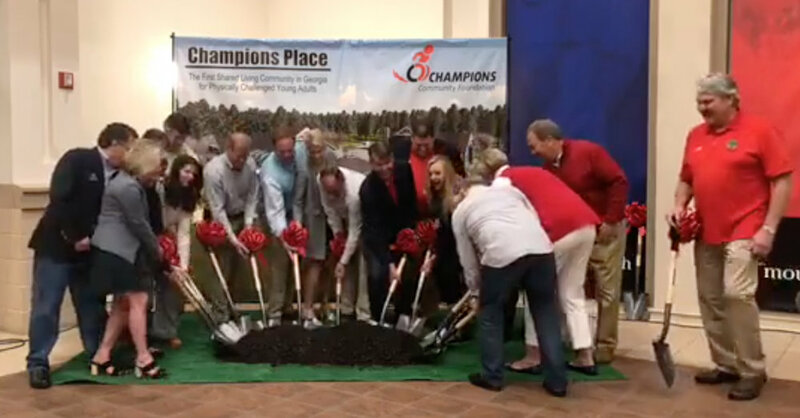 Even rain didn't dampen the enthusiasm surrounding the groundbreaking ceremonies for Champions Place - almost 200 people showed up to celebrate this historic event. The Titan Family, volunteers, community leaders and special guests came together to mark this special day. The young adults with physical disabilities who will call Champions Place home shared their hopes and dreams - check out this short video clip to experience their joy! Champions Place will not only serve it's 16 residents, it will be a new social hub for the entire Titan family and drive awareness throughout our local community....MAKING DISABILITIES DISAPPEAR, AND CAPABILITIES SHINE! Thank you for your love, encouragement and support! Special guests help commemorate this historic event! Alyson Carter and other Titans share how Champions Place will change their lives.